Wu Fang bridge of Tainan, Taiwan Salt from Wuchun Gui Cheng traders get rich, then his son Oh Sang new family business, underwriting much salt business development, his family has grown. First Dynasty, Oh Sang new mansion north is the origin of its Dutch colonial period the Netherlands Interpreter Bin garden site to the acquisition, construction of low-lying along the garden, rockery his best artistic arrangement, called "Miss Park." Hayashi Department Store (ハヤシ百貨) was known to the Tainan people as "The Five-Stories-House"(Gō͘-chàn-lâu-á). The Department Store formally opened on December 5th., 1932, just days after the first department store in Taiwan, Kikumoto Department Store, also known as The Seventh Heaven, opened in Taipei City. Thus Hayashi Department Store became the second large department store in Taiwan, as well as the largest department store in southern Taiwan. 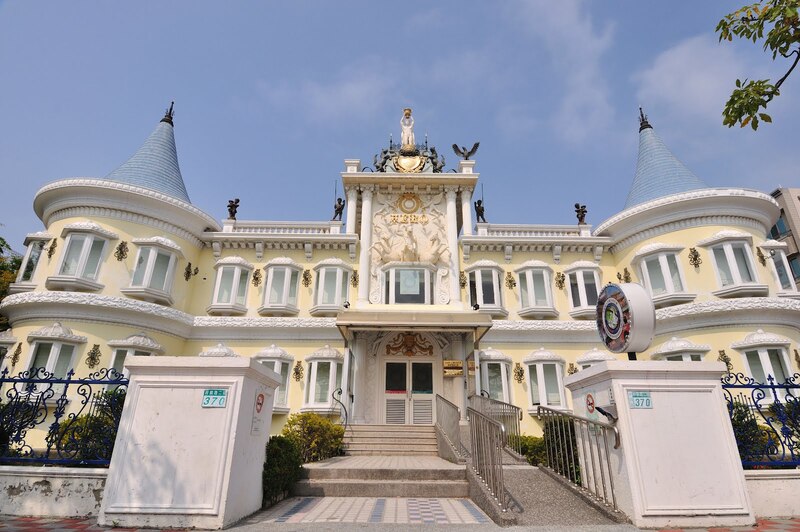 Was originally operated by the restaurant industry, so put up a European-style castle, the city government after the expiry of the lease, the building after the city recovered from the rented by the Immigration Department, today became Taiwan's most popular public authorities Tainan NIA. Built in 1652 for the Dutch, beginning called "the general public cover City" for administrative business center. Ming Yongli fifteen years (1661) to stage drive Koxinga Koxinga Dutch success next year after the death of Koxinga Koxinga, Zheng Fu gratitude to Taiwan residents drive charge, Kaijiangtuotu achievements and spirit, then in this Yanping Li Miao enshrined Koxinga Temple Koxinga place, and later because of concerns about the Qing government, but did not dare to openly enshrined Koxinga, and to the "jungle temple" call Koxinga Shrine rich cultural treasures, especially during the Qing led numerous couplets, including Created by Shen Pao-chen handwritten original temple, forceful strokes, meaning timeless, still great historical value.